The online version of this article ( https://doi.org/10.1007/s10578-019-00889-2) contains supplementary material, which is available to authorized users. 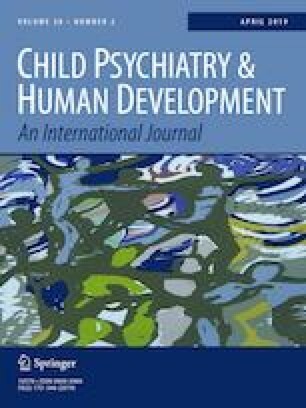 This study was funded by the National Institute of Mental Health (F31 MH108280), an Elizabeth Munsterberg Koppitz Fellowship from the American Psychological Foundation; and a Julius B. Richmond Fellowship from the Harvard Center on the Developing Child, all awarded to the first author. The authors have no potential conflicts of interest to report pertaining to the research described in this manuscript.